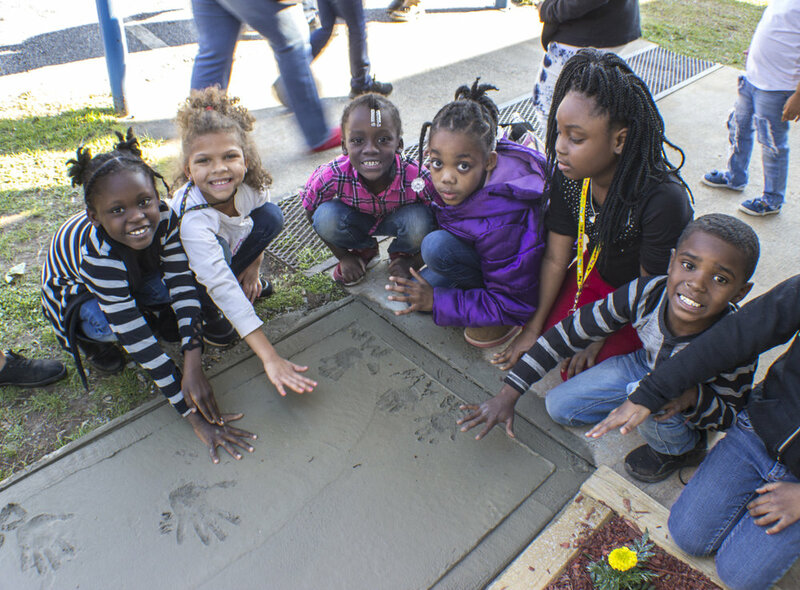 Pressing firmly into the cement, memories and a marker for the next decade were made for a lifetime into a freshly poured sidewalk outside of the Madison-Morgan Boys & Girls Club. 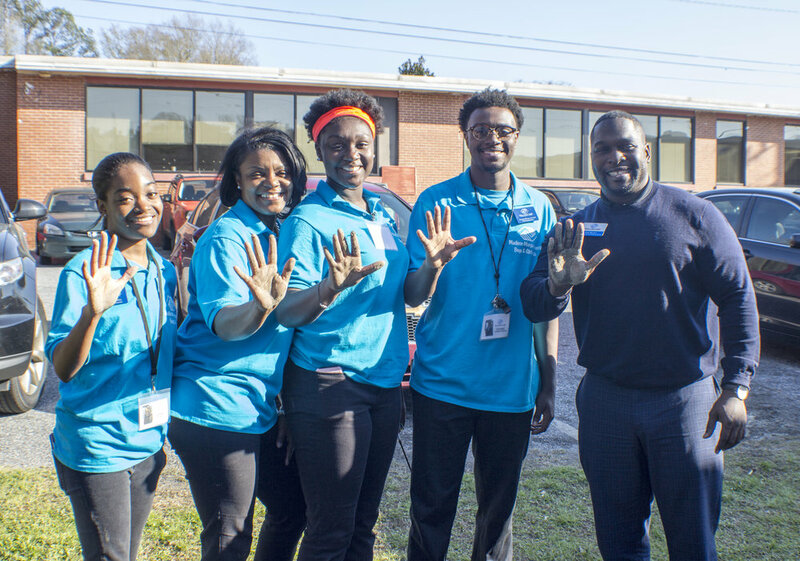 The occasion – celebrating ten years of hope & promise for Morgan County’s youth. Community members, hand in hand, with Club members celebrated a decade of youth empowerment through activities that mark the daily life of Club members. The art room became a scrapbook center for those present to write notes to future Club members, board members and volunteers. The messages were overwhelmingly emotional and note worthy to view time and time again. And, that’s the motto of the Madison-Morgan Boys & Girls Club – a place to become, a place to thrive and be great. For co-chairs, Connie Bryans and Nancy Vaughan, of MMBGC Advisory board the evening was inspiring for the future efforts of the Club and impactful to see so many community members support the Club’s mission of providing bright futures for Morgan’s youth. The evening was a joint celebration of Morgan County’s youth, as Morgan County Ferst Foundation also joined in celebrating the Club and it’s new name unveiling – Ferst Readers. Bob Mackey, CEO & President of BGCNCG, couldn’t be more proud of the Madison-Morgan Boys & Girls Club’s achievements and direction for the future. Madison-Morgan Boys & Girls Club provides a world-class experience that assures success is within reach of every young person who enters our doors. For more information or to donate, visit www.bgcncg.com. If you’d like to get involved please contact 706-342-1117.